Immortality is a great gift that must be used wisely. The worthiest of immortals become gods, granting peace and prosperity to those who believe in them. Many live like this for centuries, settling in provinces and dedicating their eternal lives to helping their close ones. But there are gods whose powers and bravery would not let them sit idly by, forcing them to join battle after battle! They are ready to rush to any part of the planet, from icy mountains to deserted wastelands, and if needed, they will leave Aelion altogether. Those gods never stop improving themselves, honing their from year to year. They are the ones who will face numerous challenges and eventually become elder gods. There are many ways a junior god can transform into an elder one, but one thing is common: it is never easy. Modern Aelion gods can advance to the next stage by collecting 6 avatar trophies. Avatar trophy is a shard of the ether body of a great god that can be obtained from their avatar. 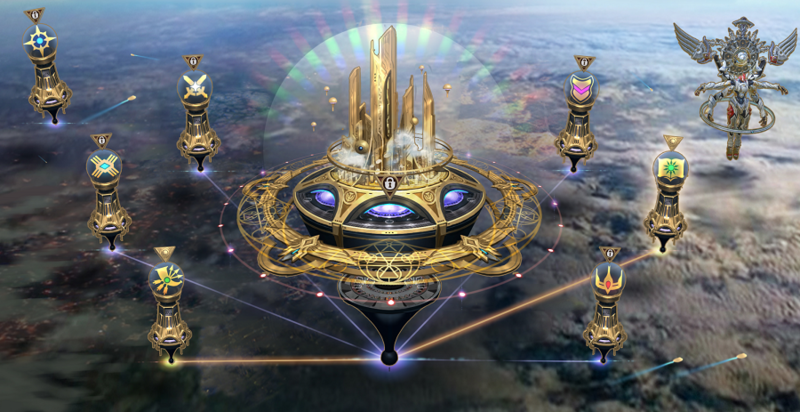 An item like this allows you to unlock one of six divine specializations which grant access to new abilities. The ether body of the one who learns all 6 specializations becomes so strong that transformation is inevitable! When a hero becomes an elder god, they start learning aspects which reveal new facets of development. An aspect is a type of divine specialization available to elder gods. At this time, 3 aspects are available: tenacity, rage, and mercy, but the essence of divinity has not been fully researched. Scientists believe that if there are many elder gods, more aspects will be revealed over time. Unlike specializations, all aspects are closely connected, and you cannot learn another aspect without fully comprehending the first one. Each aspect grants you the ability to assume a special form and use abilities relevant to that very aspect. Aspect of Tenacity is the first one you can unlock. The priority of this aspect is protecting the weak. When the gods realized the might they possess, they draw the enemies’ attention to themselves, investing resources into health bonuses and defense. Once this aspect is fully researched, the hero will be able to use legendary equipment more efficiently. After a long delay, the aspect uses all available energy and inflicts damage in a large area around it, restoring a certain amount of spent resource for each affected enemy. When the attack is being activated, the aspect is invulnerable, moves at a reduced speed, and forces enemies to attack it. The aspect throws its sword through the air The weapon inflicts damage on all enemies in the way, pulling them along. At the end, the sword returns to the aspect with all the affected enemies, and the damage of Retribution is doubled for 6 seconds. Seconds aspect, the Aspect of Rage, symbolizes hatred for enemies and a god’s desire to eradicate the threat. “The best defense is a good offense”, a motto that perfectly fits this aspect. They focus the might of higher divinity on attacking abilities. 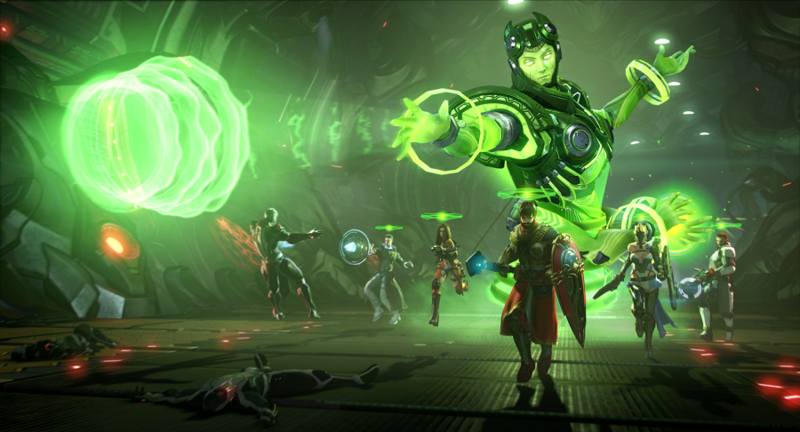 The passive abilities of this elder god increase damage and enhance attacks. Fully researched, the Aspect of Rage gives its owner a significant advantage in the Hostile Territories and Pantheon Wars. Inflicts massive damage and stuns the target. If the aspect has maximum energy at the time of use, it inflicts even more damage and recovers health. Shoots a beam in the selected direction, inflicting damage and setting fire to enemies. When Tear to Shreds is used, the aspect explodes, pulling all enemies close and inflicting damage. The Aspect of Mercy is the last one available. Only the wisest and most patient heroes can unlock it. Its abilities are focused on supporting allies even in the most difficult battle. As you develop this aspect, you learn to inspire allies to perform powerful attacks, significantly boosting the effectiveness of their shields. The owners of this aspect can both support their group and fight on their own. When you unlock the Aspect of Mercy, you learn the ancient art of reading Edicts which brings will into physical form. Redistributes health among all allies, setting it to a single percentage value. It also applies an effect to them that reduces incoming damage. Revives and heals allies in a small radius around each carrier of the Mercy effect, removing it. Higher divinity is not fully researched, but the powers it reveals are incredible, whereas the appearance of its aspects inspires allies and instills fear into enemies!